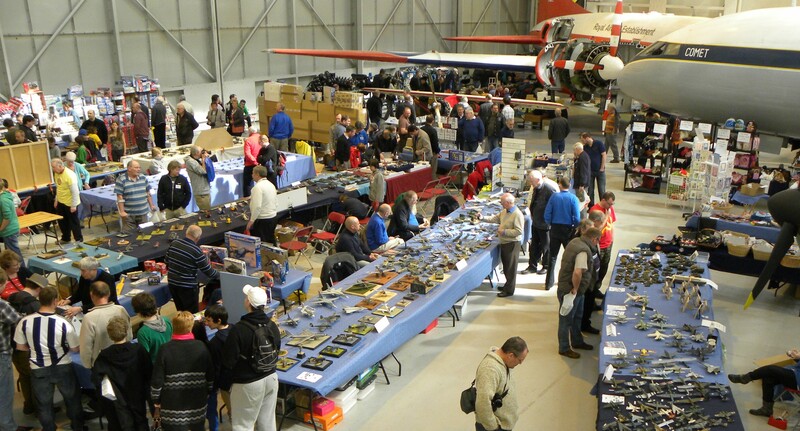 PRESS RELEASE – Modelling fans are expected to descend on the Royal Air Force Museum Cosford next month, as they attend the annual Shropshire Scale Modeller’s Show, taking place on Sunday 6th April 2014. Nestled amongst a world-class collection of aircraft and military vehicles will be thousands of intricately detailed models, displayed alongside many of the real aircraft. 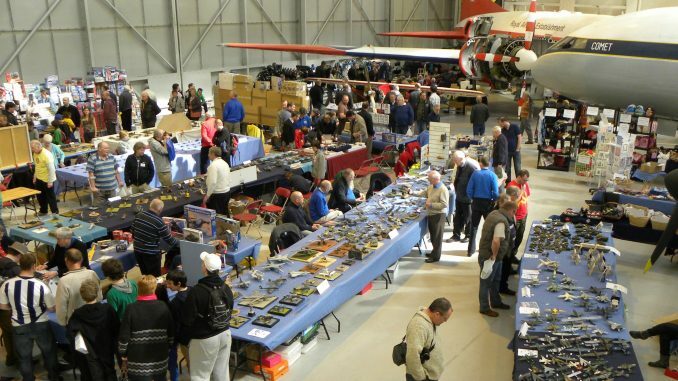 As one of the region’s largest modelling events, everything any dedicated modeller could ever want or need, will be on sale during the one day show. An excess of 40 traders, including Airfix, will be selling a range of modelling materials and kits to suit modellers of all ability’s, from young children who are just discovering their passion for modelling, right through to the avid modellers who have been building kits for many years. There will be everything from plastic kits in various sizes along with glues, paints and other detailed sets available to purchase on the day. More than 80 modelling clubs from across the UK will be exhibiting their pint sized models which have taken hours of dedication to perfect. Plus, it’s not just models of aircraft that will be on show, there will be hundreds of cars, bikes, trucks and science fiction items including Dr Who and Star Wars. To make reaching the Museum even easier, organisers have introduced a free park and ride for the day to cope with the additional visitors. The show will be open to the public from 10am until 4pm and entry to the event is free of charge. For further information, please call the Royal Air Force Museum Cosford on 01902 376200 or visit the Museum website at www.rafmuseum.org.